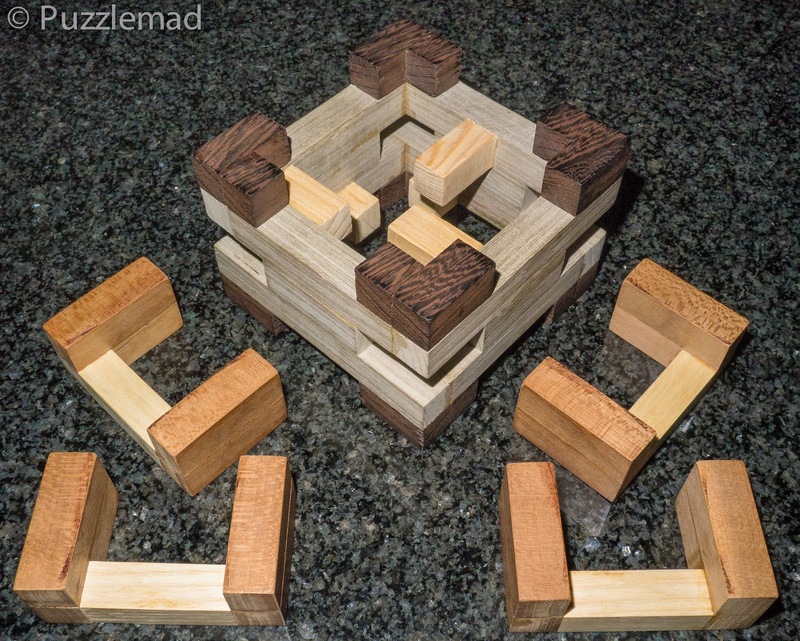 Puzzlemad New Additions: Knocked the castle down! A couple of months ago my secret puzzle friend sent me a whole load of new toys some of which have been shown here before. 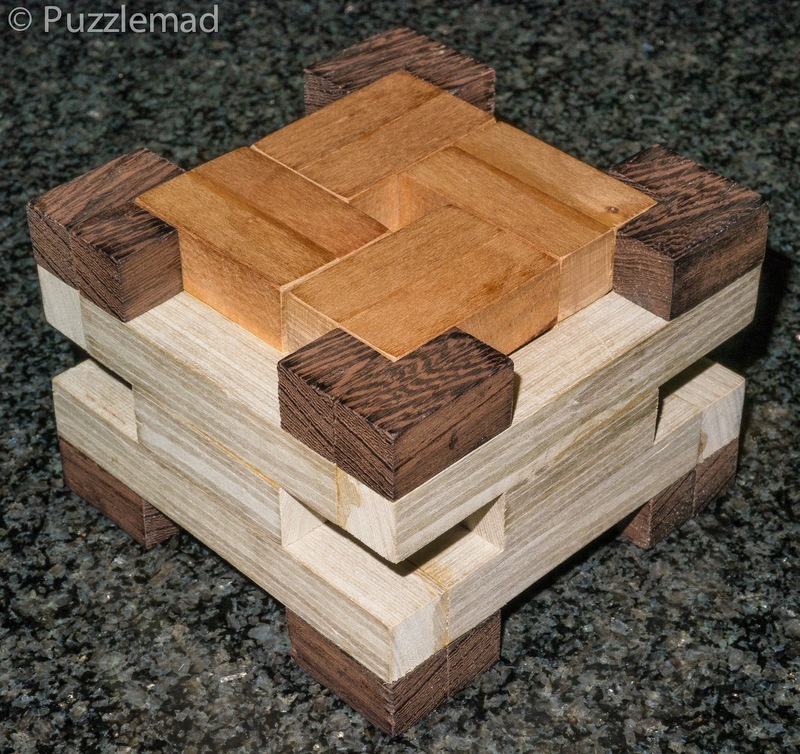 One of his beautifully hand made creations was the Castle puzzle. I have been working on this on and off for ages and never managed to get past a dead end. Finally a few days ago I succeeded and managed to take it apart! Looks so easy doesn't it? But I'm not very bright! There's so much movement in it but I kept getting caught and only managed to find a cheating rotation once!